Genus: Argenna Thorell, 1870. 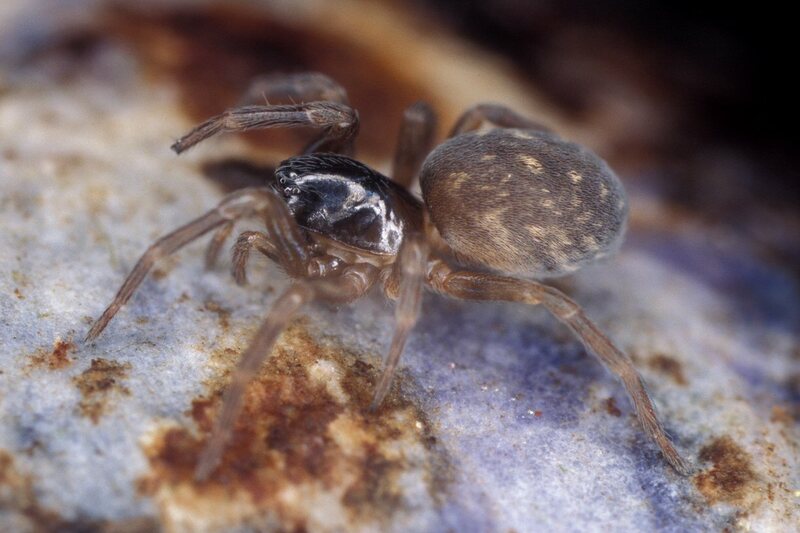 Characters of genus: Spiders of this genus are primarly found in coastal habitats. Family: Dictynidae O. P.-Cambridge, 1871 (Meshweb Weavers). Characters of family: The dictynids are characterized by having 3 tarsal claws. They are cribellate but in many species the cribellum is reduced. They possess 8 eyes, however there are some 6-eyed Cicurina species in which the anterior medials are reduced. Some blind, cave dwelling Cicurina species even have they eyes reduced to zero. The calamistrum if present is arranged in one row (uniseriate). The cribellum is usually wide in those species possessing cribellum, bipartite or entire (absent in Cicurininae). The cephalic region of the Dictyninae is usually high perhaps to fit the relatively large poison glands. In this subfamily the cephalic region is furnished with longitudinal rows of white hairs. These are not present in the Tricholathysinae in which the carapace is pear-shaped. The sternum is triangular. The chelicerae are long and modified in males of some genera, e.g. Dictyna. The males of this genera has the chelicerae concave in front and bowed outward near the middle, often having a well developed mastidion (denticle or tubercle) on the anterior face of the chelicerae. The endites are converging. Legs are moderately long and usually without spines. In some genera tarsus of each leg are without a trichobothrium (e.g. Dictyna) while tarsus of each leg has one trichobothrium in others (e.g. Lathys). In Cicurina, tarsus of each leg possesses a series of trichobothria, which increase in length towards the distal end as in some genera of the Agelenidae family. In yet other dictynid genera there are two tarsal series of trichobothria. The abdomen is oval to elongate, often overhanging the carapace and densely covered with fine hairs, which sometimes are distributed to form a pattern. The cardiac mark is clear in some genera as in Dictyna but indistinct or absent in others as in Cicurina. Dictynids are entelegyne with the epigyne weakly sclerotized in some genera (e.g. Dictyna and Argenna) while more sclerotized in other genera (e.g. Cicurina). The male palp has a tibial apophysis. The embolus is long and slender in most species.